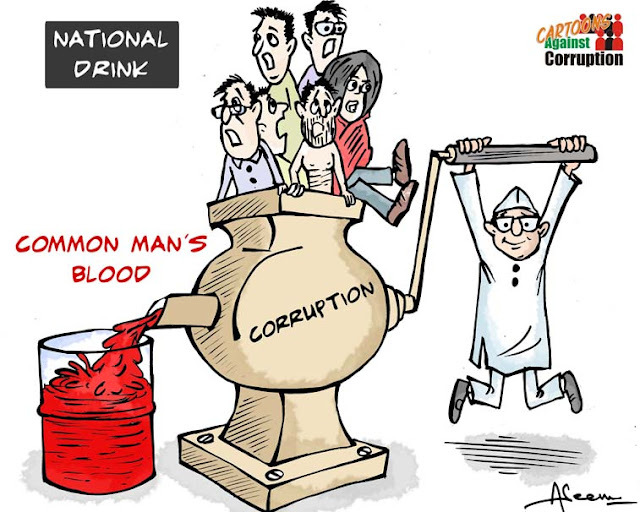 A 27-year-old Amit Katarnaware does not seem to have a problem with corrupt politicians and bureaucrats eating the nation alive, drinking the nation dry. But he does have a problem with a few cartoons that just attempt to depict the sorry state those corrupt people in power have brought this nation to. How convenient is that? Amit, if you have so much love for your nation and so much enthusiasm and energy to oppose anyone who attempts to compromise on the respect due to it, why don’t you just go and take the corrupt bloodsuckers in power to task instead? In case it did not strike you, the characters in those cartoons are the ones to blame, not the one who created the awareness messages, genius.! 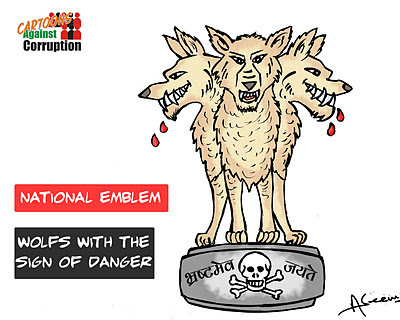 And of course the guilty would react the way they do, allowing Aseem Trivedi to face the heat. It’s a natural reaction to guilt. But seriously, if an educated man cannot differentiate between the real culprits and someone expressing the sad but true state of affairs, India still has a long way to go before corruption will cease to exist. To put it simply so that you (Amit) can understand, once corruption ends in our country, everything from the Constitution to the Ashoka Pillar to national pride to even our faith and belief in our elected “public servants”, everything will automatically be restored to original glory. 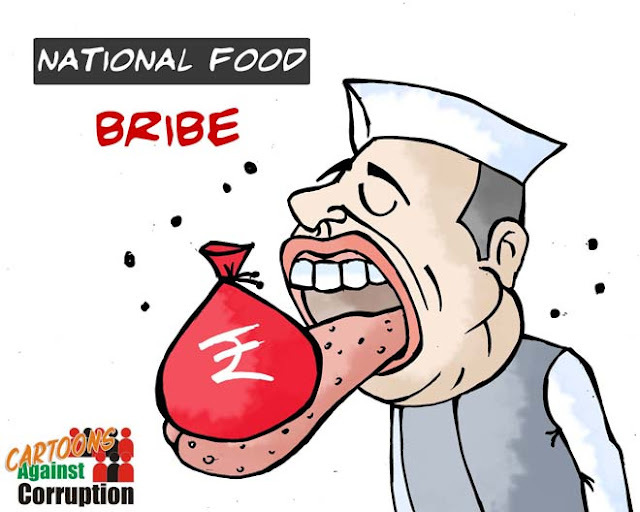 Click here for more Cartoons Against Corruption.